Shia Muslims in Iran and many other countries have begun mourning ceremonies to commemorate Tasua, the ninth day of the lunar month of Muharram. 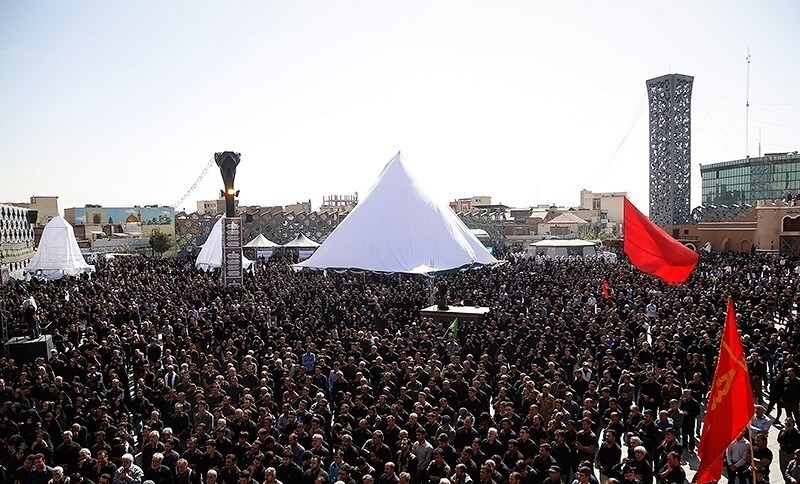 Millions of black-clad mourners have been holding ceremonies across Iran as well as Iraq, Pakistan, Azerbaijan Republic and Lebanon. Mourning processions will also be held in Europe, America and Africa later in the day. During Muharram, Iranian people across the country traditionally cook and distribute Nazri (charity food) among their neighbors, family and the poor. Free food is also offered to people who participate in the mourning ceremonies. They mark the anniversary of the martyrdom of Imam Hussein and 72 of his companions, who fell in a battle for justice against the second Umayyad caliph, Yazid I, in the Iraqi city of Karbala in 680 AD. Imam Hussein and his companions were martyred on Ashura, the tenth day of Muharram, which falls on November 4 this year. Muharram ceremonies symbolize the eternal and unwavering stance of truth against falsehood and humanity’s struggle against tyranny, the cause for which Imam Hussein was martyred.